Minimalism is a strange game in this day and age where everything has to become more functional and practical. That trend even goes in the pen industry when you consider the ongoing 'hype' of EDC pens: solid, machined metal pens, with pimped-out-tricked-out features, filled to the brim with functional design. It almost seems a bit counterintuitive to try and make a pen that skip all the fuzz, and takes the writing utensil back to its' basics, like UK-based brand Namisu did with their new Nova fountain pens. Minimalism is, or should be, a design choice above anything else. 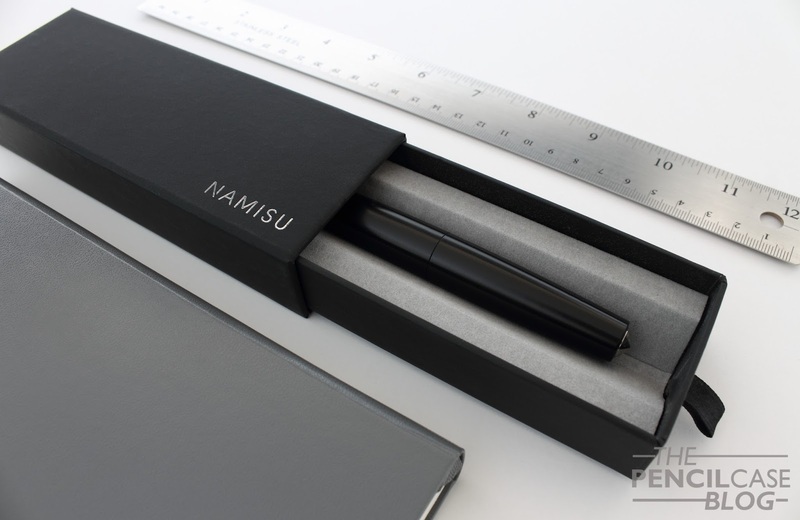 But it may also be a way to attract people to their product with a shiny title; 'MINIMAL PEN', sounds good, right? I personally don't think it's a way of life, zen, or whatever people try to make you believe. All marketing tactics aside, I do appreciate aesthetically pleasing design in a pen. That's also the main reason why I'm NOT that into EDC pens, and their more utilitarian appearance. They often don't speak to me on a visual level. But this one definitely did speak to me! I had let a couple versions of the Nova slide when they were released(mainly the uber-cool titanium finish that is still on my wishlist), but as soon as I saw the release pictures for the new ebonite and titanium version on Namisu's Instagram page, I was hooked! I went to their webshop and immediately ordered one. The design is everything I had expected. It's a sleek, clipless pen with a bulbous shape. It tapers down towards the ends, that are made up of conical titanium finials. The pen is made of black ebonite, that is described as a matte finish. In reality it's more of an unpolished machined finish that gives it a slightly satin brushed look because of the fine machining lines that remain. The machining pattern is very fine and even across the surface, it doesn't look unfinished, it's just not 'matte' in my book. 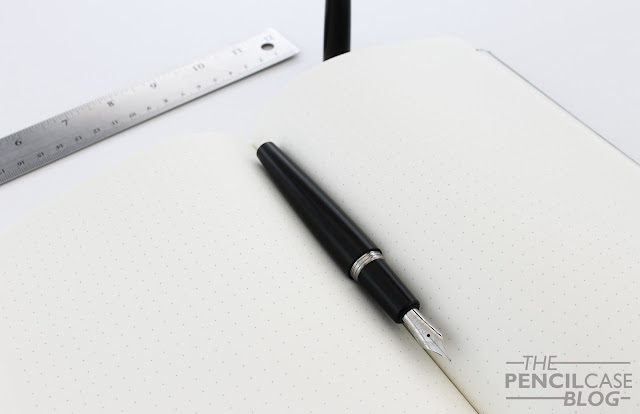 The titanium machined finials give the pen some character, whereas the full aluminium and titanium versions are more plain. The combination of titanium and ebonite plays well together. 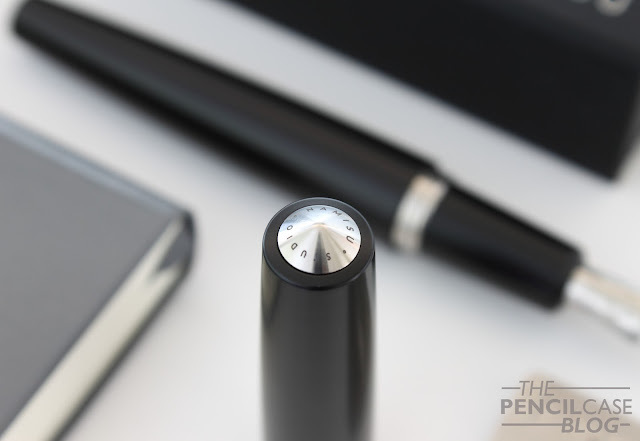 The cap finial has the words 'studio Namisu' laser engraved in a small, unobtrusive font. Underneath the cap you'll also find titanium threads on the section. The cap has the threads cut directly into the ebonite. Being metal on ebonite, I have to say it opens and closes surprisingly smooth. The thick block threads are cut precisely, and I'm sure they will be durable enough to hold up to normal wear and tear. There have been numerous reports and complaints about the Nova rolling off desks. I can't deny the fact that it rolls like crazy. If you place it very carefully on a level surface, it'll stay put, but give it some momentum and it's gone. That's the price you pay for a minimalist clipless design, so you'll have to choose between practicality or design. In this case I think the design wins, but obviously if you're looking for an EDC pen for intensive use, you should look elsewhere. The Nova Ebonite is slightly larger than the metal versions, which brings it in at 14cm (5.5in) closed length. Without the cap, it's a respectable 12.8cm (5in). That's a sweet spot in length for me, it fits my hand nicely, but it shouldn't be much shorter. Especially if you grip it higher up, it might be a bit short. There's also a noticeable step behind the section, with a rather sharp edge to it. Because of the mostly ebonite construction, it's an incredibly light pen. 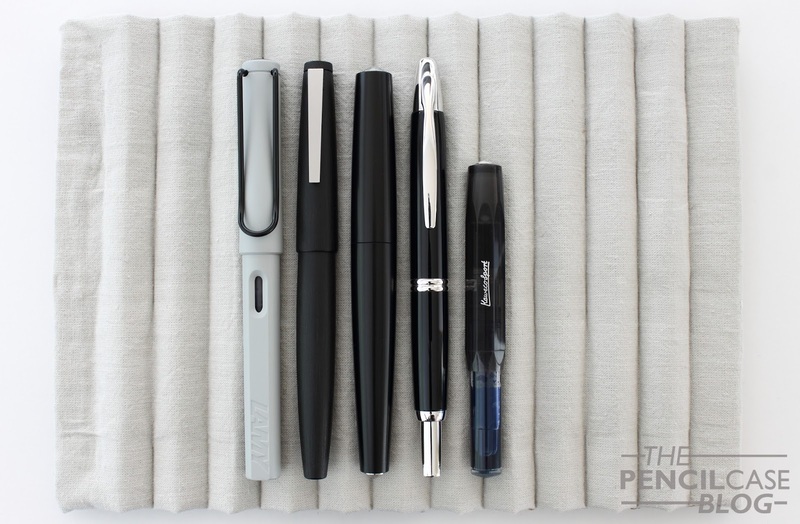 At 21g total, that's less than the lamy 2000, which is already a fairly light pen! 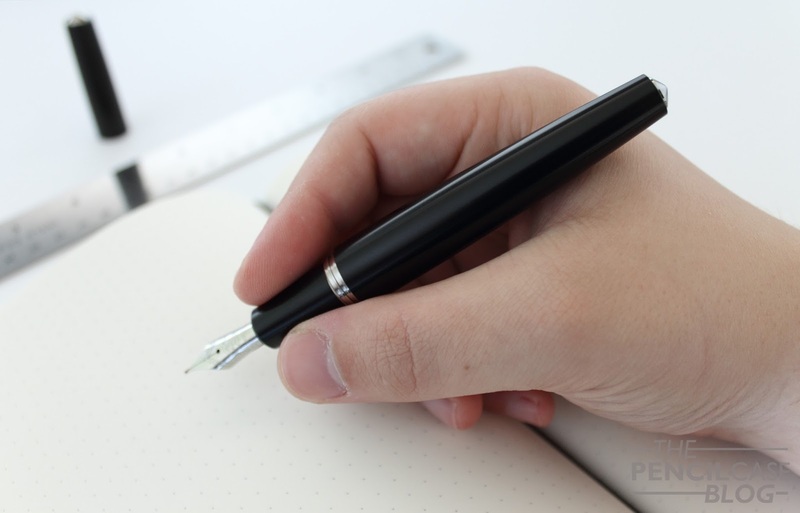 At times I think it feels slightly unsubstantial in the hand, especially because it's quite beefy (1.5cm at the widest point), which makes you expect a heavier pen. Of course that's something to expect with materials like resin and ebonite, so if you want more heft, you should opt for the metal versions. 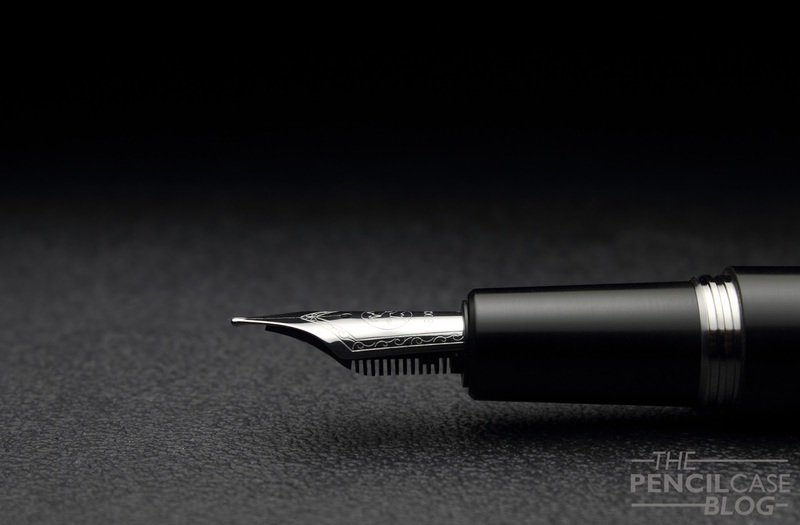 The section is also made of the same smooth ebonite, and it has a straight cylindrical shape that tapers slightly towards the nib. This is an area where I don't like the minimal approach. I'm normally not that prone to this kind of thing, but the grip section can be a bit slippery at times. A more curved section might not look as sleek, but it's much more comfortable in the hand. 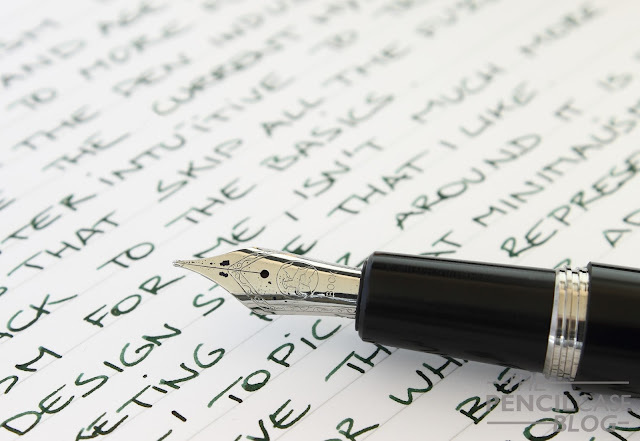 The nib is a standard #6 steel nib from Bock. I mentioned in previous reviews that I quite like the look of their nibs, which still holds true. The engraving is clean and subtle, I like it. I've had some issues with the ink flow with one of their #5 nibs, but this larger nib seems to work just fine. I went for a broad nib, which is smooth and juicy out of the box. 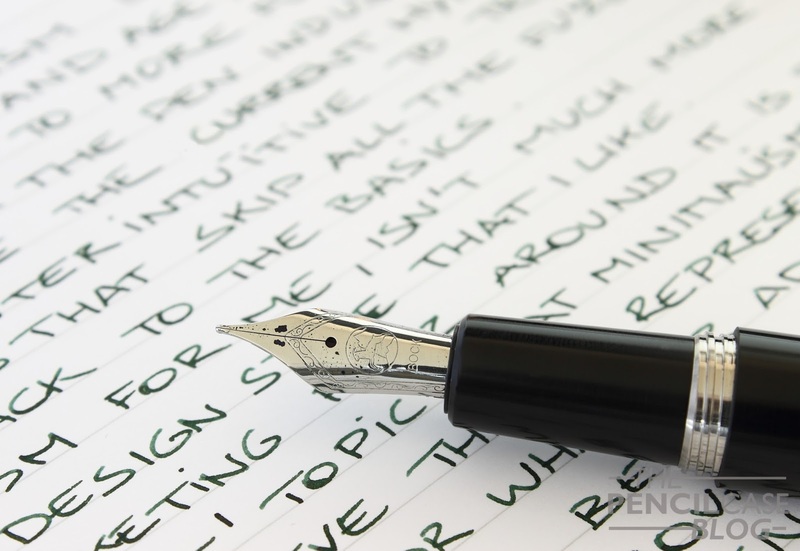 The nib is polished just the right amount, with a hint of feedback, which makes for a responsive and pleasant writing experience. It's firm, so line variation is not something you'll see on this one. I found the line width it produced slightly on the finer side, compared to some other steel broad nibs, but the difference is almost negligible. Compared to Namisu's previous pen project, the Orion, which was also a throw at minimalism, the Nova definitely has the upper hand for me. 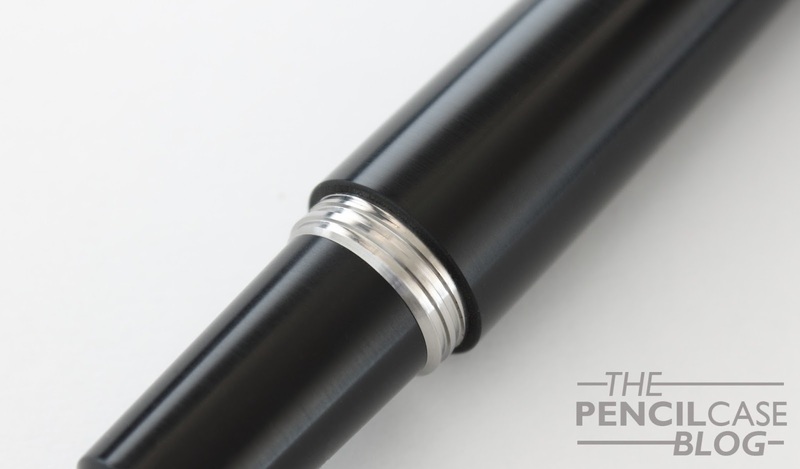 It's subtle and sleek, and the ebonite/titanium combination gives it a refined appearance. Especially in the comfort area, I think they can further improve on the section and the step towards the barrel. But for a brand that has only been around for a couple years, I'm already pretty impressed with the quality they deliver. 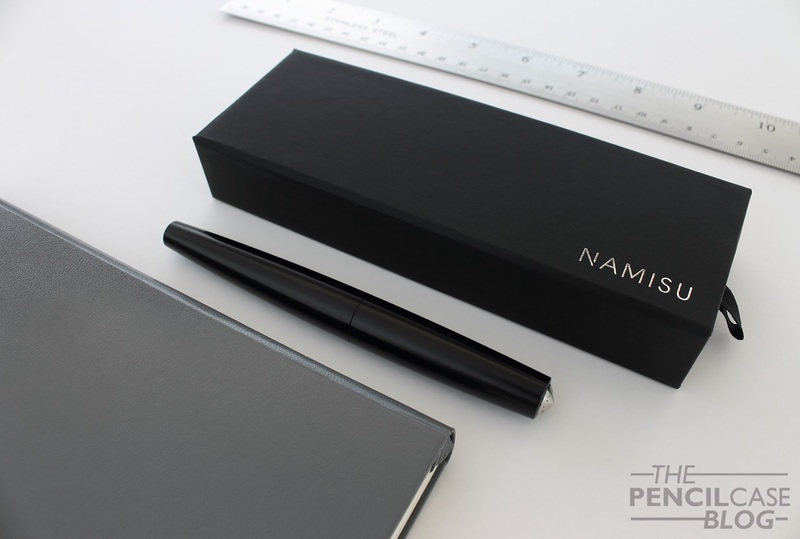 If you're looking for top notch minimalist design, the Namisu Nova Ebonite should be on your shortlist. It retails for 105 GBP, which equals around 130 USD. While that's not exactly cheap for a steel nib (Titanium nibs come at a premium), the great design has won me over. This review does not contain any affilate links. The product reviewed here was bought with my own funds. It's a pity they don't offer a roll stopper. Yeah the rolling around part is quite annoying. If you really want you can buy a pen rest from a bespoke pen maker or elswhere, which would keep the pen in one place when you're not using it. Is Ebonite easy to get some scratches on the body or thread? Thank you, ebonite does scuff and scratch. I wouldn't suggest pocket-carry or unprotected in a bag if you want to keep it pristine, but if you keep it in a pen case and take good care it'll hold up quite well. The machining lines on the pen also 'hide' small scuffs and imperfections quite well.